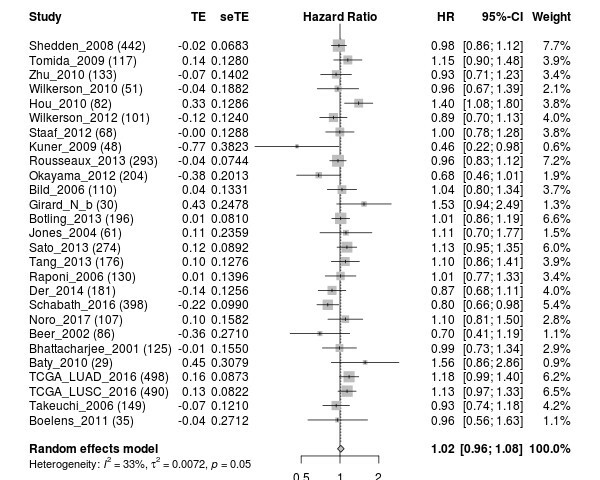 META-ANALYSIS effectively combines the statistical strength from multiple data sets which allows greater precision than using any of the single studies. 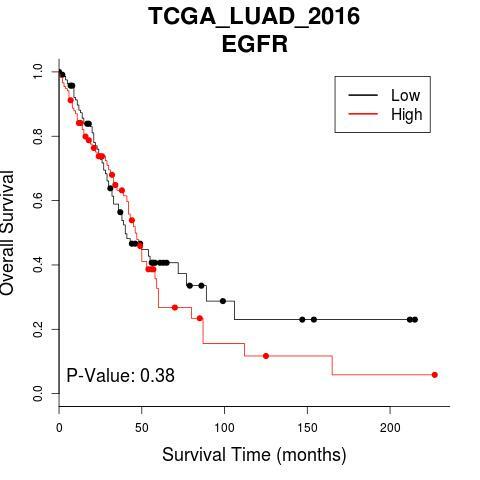 We provide forest plots to summarize tumor - normal standardized mean difference for tumor vs normal meta-analysis and hazard ratios for survival meta-analysis. 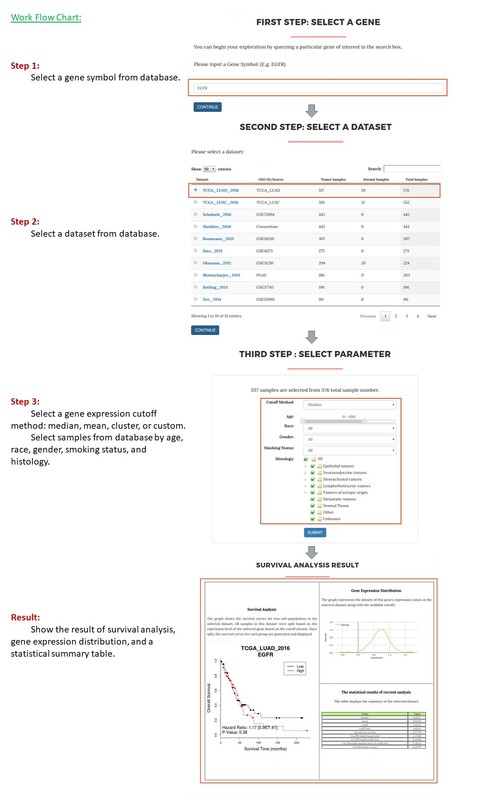 SURVIVAL ANALYSIS measures the association between overall survival and expression of a selected gene in a selected data set. 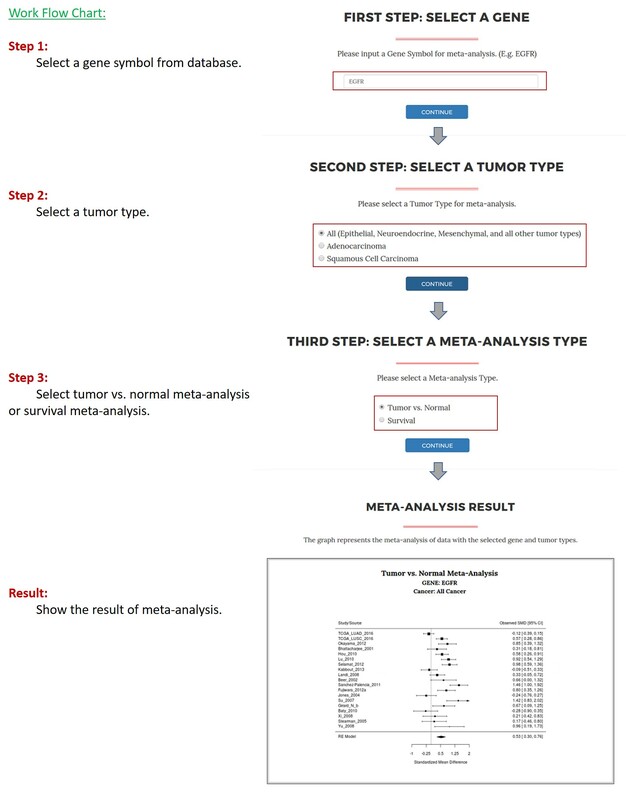 Users have the control to select a subset of the patients based on clinical features such as gender, age, histology types and smoking status. Results include a Kaplan-Meier survival plot with hazard ratio, its 95% confidence interval and p-value from log-rank test. Visualization of gene expression as a density plot will also be provided. 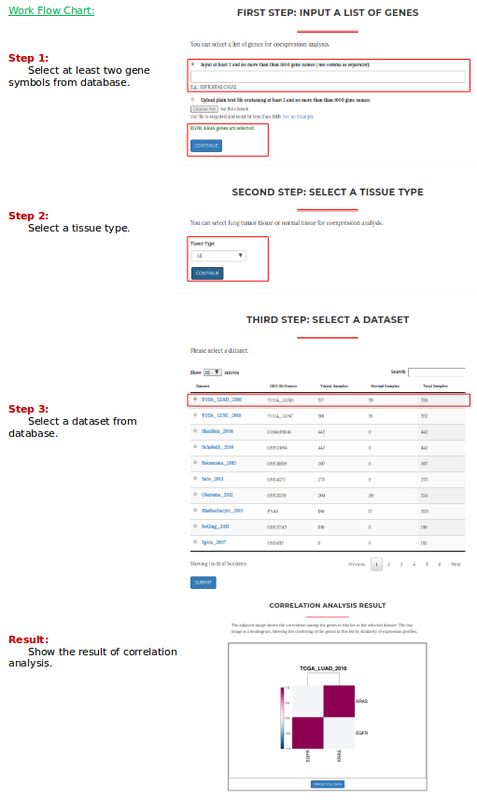 COMPARATIVE ANALYSIS​ allows users to compare gene expression from different tissue types or from samples originated from patients with different clinical features. 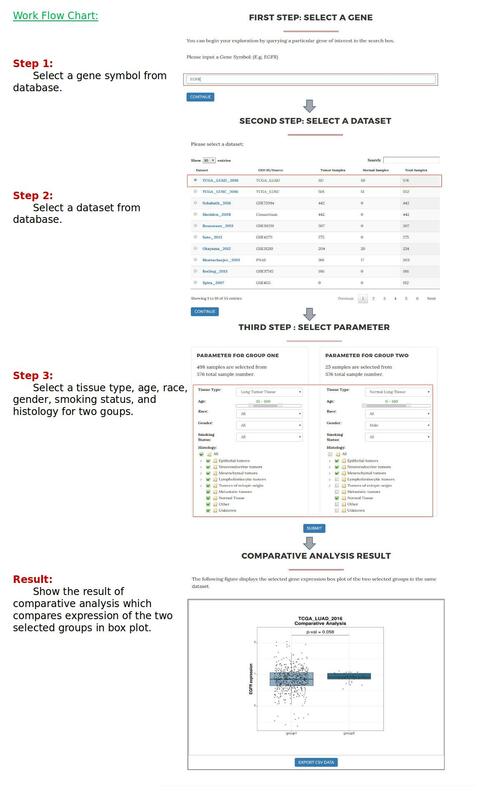 Users have the control to define two sample groups based on one or more clinical features. Gene expression levels of the selected gene for the selected groups are then visualized in a boxplot. 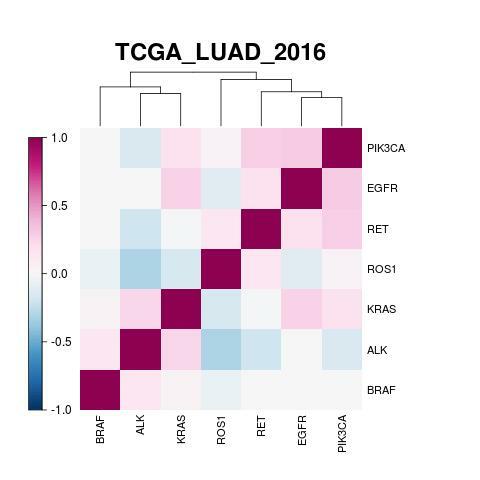 CORRELATION ANALYSIS visualizes the expression correlations among a list of user-defined genes in the selected data set as a hierarchically clustered heatmap. Please cite: Cai, L., et al. (2018). 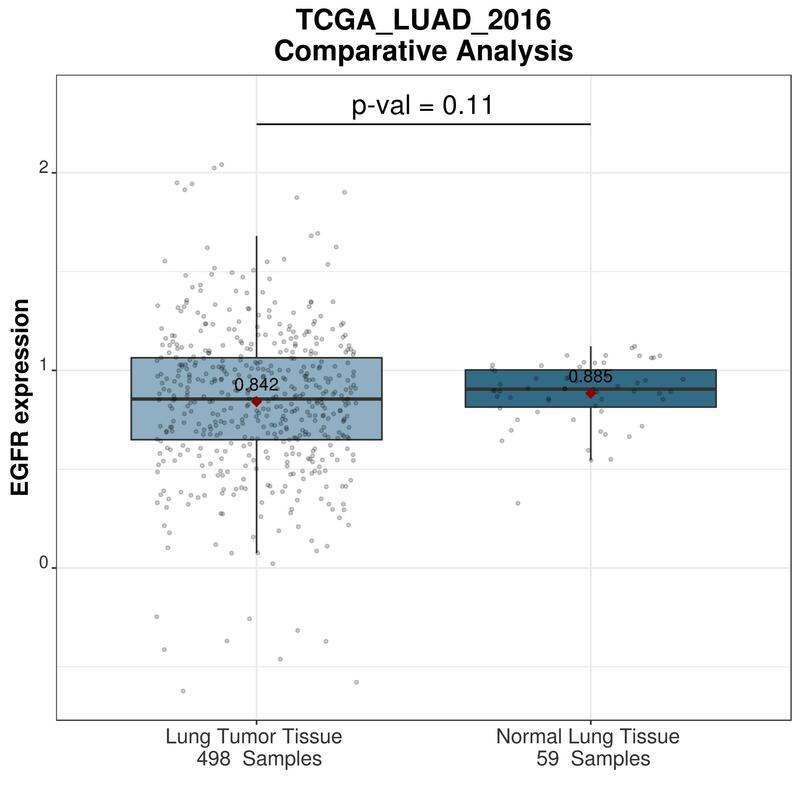 "LCE: an open web portal to explore gene expression and clinical associations in lung cancer." Oncogene.